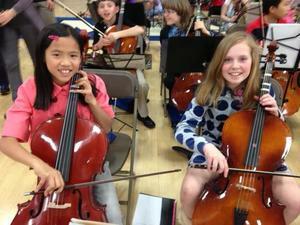 Mr. Folsom would like to invite all Carver 5th grade students to participate in after school Orchestra at HMS. Niche ranked Carver School #1 in the County of Los Angeles! A video message from the San Marino Schools Foundation. The Student Handbook contains Drop-off and Pick-Up info, School Lunches, School Rules and Expectations, Discipline Policy, Attendance Policy, Traffic and School Safety Policy, Health Policy, etc. Carver named a 2018 California Distinguished School! State Superintendent of Public Instruction, Tom Torlakson announced the 2018 California Distinguished Schools. Both SMUSD elementary schools, Valentine and Carver are recognized as award recipients! Congratulations our students, staff, and parents! As we start this new school year, we would like to remind all drivers (parents, relatives, nannies, caretakers, etc.) to strictly follow traffic rules and pedestrian safety around campus. Parents and guardians who are interested in serving as volunteers or field trip chaperones must complete the San Marino Unified School District Volunteer Orientation Training. K. L. Carver School is a special place for Carver students.